For about $50 you can get a new vacuum sealer and pre-scored bags that will add durability to your pocket / ankle carried trauma gear, and save you a little bit of space. Medical gear has been part of my everyday carry (EDC) for the last three years. One thing I’ve noticed is that daily wear and tear takes a toll on gear, especially softer items like gauze, sponges, combine / ab pads, and even gloves. If something went in my pocket (and eventually my ankle rig), and it wasn’t a tourniquet, I put it in a bag. This cut down on wear significantly. 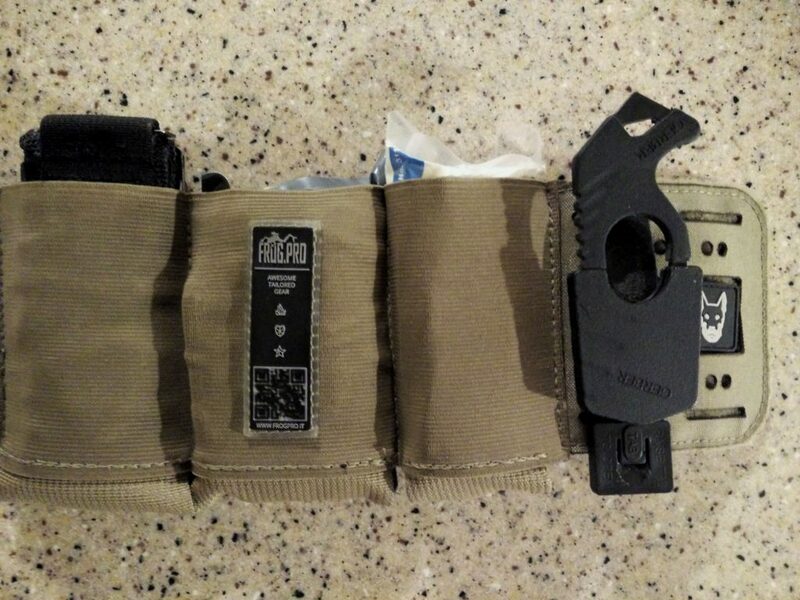 The bag was originally clear ; it’s taken a lot of abuse after sharing a thigh pocket with a SOFT-T Wide tourniquet and an Olight flashlight. The problem with bags like this is that they were difficult to open under duress, especially if my hands were wet. The other, everyday problem was that the bags were bulky. I already rank high on the Tactical Timmy scale due to my cargo pants, and stuffed pockets didn’t help. I tried burping the bags, putting them in first so that my TQ and light would flatten the bag as much as possible, etc. One of our readers wrote in and suggested we use a vacuum sealer to reduce bulk. I’m pretty impressed with the results so far. We chose the FM2000 because it was basic, and on sale for $34 (regular price: $80). It’s out of stock as of this writing on Amazon, however it’s still listed for sale on the FoodSaver Web site so it might be sold out due to the low price and the holidays. You put stuff in the vacuum bag, leaving about 3″ of room at the top. The open end goes into a channel inside of the vacuum sealer. Close the lid, press a button, and the air gets sucked out. When the vacuum process is complete, a heating element inside of the unit seals the bag. After this process, I trim as much material from the previously opened part of the bag, and seal it again, closer to the contents. I trim again, and this leaves me with as small a footprint as possible. You can see the notch in the bottom left of the bag. This makes it easier to open the bag, even with wet Nitrile gloves on. 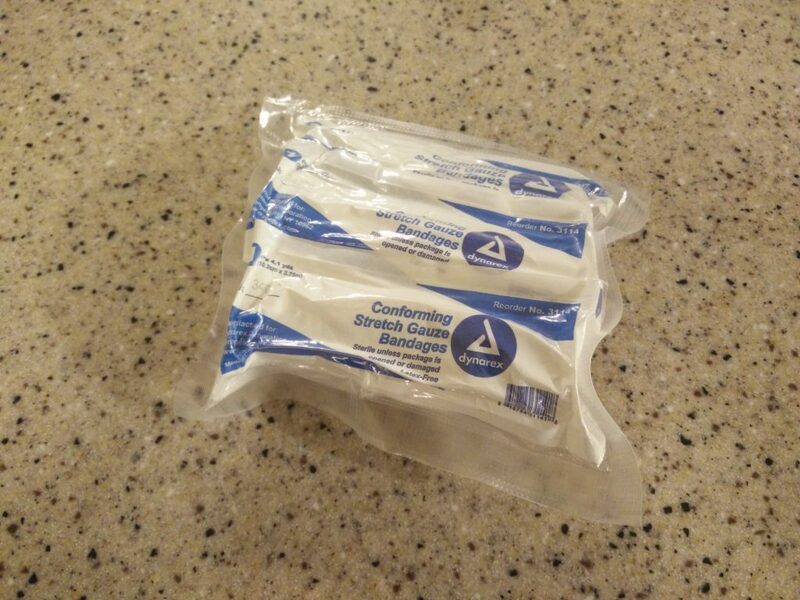 I also compressed the two rolls of gauze I put in my Faster Safer Defense ankle rig. This has the added benefit of keeping it in place, something I talked about in my three-rig-comparison. Overall I’m happy with how the process works. The first FoodSaver unit I received had a bad heating element. I strongly recommend you buy your sealer from Amazon; it was far easier to return it than dealing with FoodSaver customer support. FoodSaver’s online customer service needs some serious improvements. 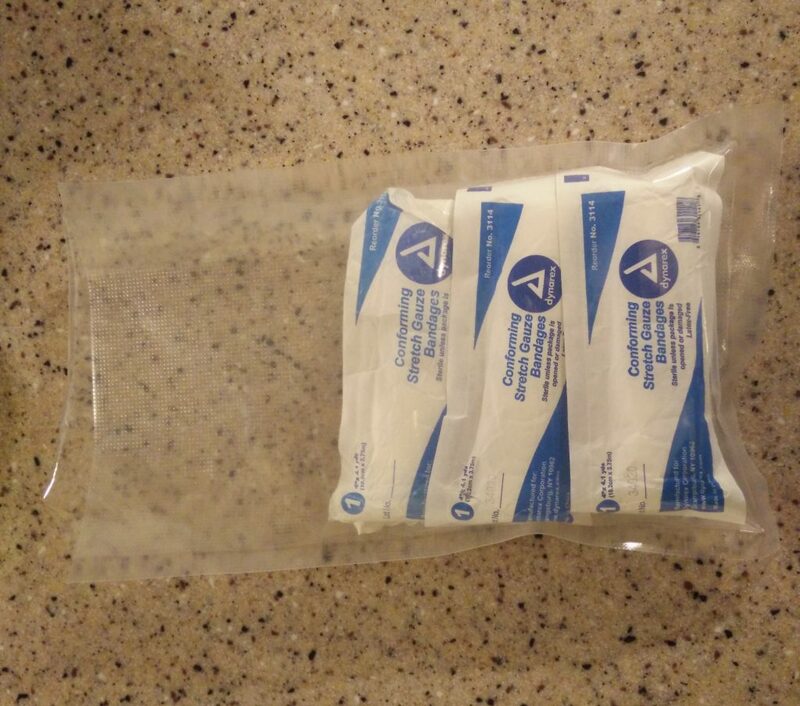 4 Comments on "Use a Vacuum Sealer to Save Space and Increase Durability to Your Trauma Gear"
An electric heat strip sealer (~$30 Amazon) can seal a bag much closer to the product than a Foodsaver lid will allow. Even 3/8 inch saved adds up with multiple bags. As for “what do I seal” – anything that needs to be waterproof, anything that may leak, anything that could contaminate (by liquid, powder or smell) anything else, anything that’s very difficult to keep wrapped up small. Pro tip: Colored paper can be inserted before sealing (even on both sides), printed with large type as to bag contents. My large FAK “super hot stuff” has the very critical items-tourniquet, z-fold gauze, Israeli bandage, etc. – sealed with orange paper and contents printed in 60 point type. I can just yell – “bring me the orange bags from the kit” and an untrained person doen’t nee to read labels or know the contents. Use other colors for other stuff in other kits (blue for water purification, yellow for fire starting, etc.). Pro tip: Those sliding-type envelope openers are terrific for rapidly opening vacuum sealed bags without damaging the contents. Business novelty companies make them in various colors for handing out at trade shows, and can imprint whatever you want on them, or get them plain (mine are plain orange, and I add a square of reflective tape to each side in case one gets dropped in the dark). You (and your buddies) may have to buy 500 at a time, but they’ll be only about 30-40 cents each (if you have a business, they can be written off as advertising expense….). FYI, 3M makes a hot melt adhesive – their # 3798LM – that goes on hot, adheres to multiple surfaces and dries flexible (it’s the same stuff that glues your replacement credit card to the letter, and FYI, does require a special applicator, or, I dunno, maybe a 50-100cc disposable hypodermic-style tool…but work fast…) so the plastic letter openers can be attached to the vacuum seal bags (or nearly anywhere else; if you attach them to vac bags, round off the pointed part to avoid puncturing the bags). It aso works great for attaching P-38s and P-51s to the lids on cans of freeze dried and dehydrated food. AWESOME suggestions and tips!! I am going to modify my procedures thanks to your comment. You’re welcome. Speaking of Food Savers, I forgot to add this: I don’t know if all of them will do this trick, but mine does (V2830). When sealing bags the FS will automatically shut off and seal the bag at some predetermined vacuum setting. I don’t know how many inches of mercury that is, but info on Al Gore’s Intertubes seems to indicate it’s about 20 (once you get >22-24 inches you’re not removing air anymore, you’re extracting individual particles. As FYI, 33 inches is a perfect vacuum). If you want more vaccum…..don’t use the “auto vac & seal” setting, select “canister” instead. The vac pump will run about 2X as long before shutting off, probably because it’s set to go to a greater vacuum on canisters. You will have to manually press the “seal” button to seal the bag, and be quick about it. And, some stuff doesn’t vac seal well – ammunition, for example. Storing ammo under high vacuum eventually extracts the air from inside the cartridge case so that 9MM that’s vac packed on Monday won’t be by Friday. By forcing the seal function early you can remove enough air to shrink the package (and keep it waterproof), going farther will have no benefit. As an FYI, if one has “barter ammo” lightly vac sealing it in 25-round packages makes it easiler to handle, the contents are visible, the contents are protected, and the toughness of the plastic makes it more difficult for Comrade X to barter for some then immediately use it against you. Plus, Americans seem to prefer everything they get is wrapped in plastic to confirm it’s new or fresh or something, so there’s that. In fact, a small “barter kit” – travel toothpaste, shortened toothbrush, small comb, travel-size generic deodorant, mouthwash, floss, tissues, protein bars, etc. (or whatever) can be vac packed. Some 3/16 ID tubing will fit the end of the Food Saver canister tube end (that fits both sizes of the canister vac accessory lids) so you can use the FS pump to extract air from mylar bags; when vac packing stuff – like rice, flour, sugar, etc. 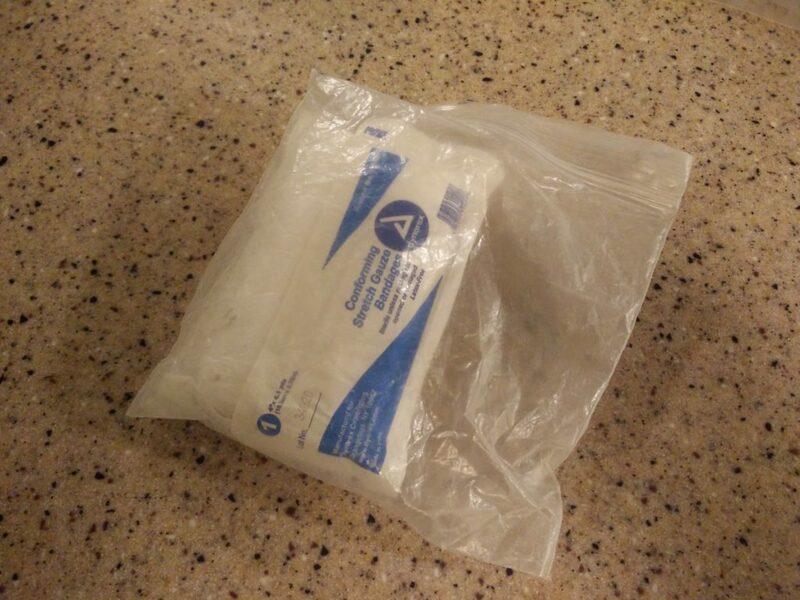 in mylar bags – if you use oxy absorbers, they can be smaller (and cheaper) because there’s much less oxy to absorb. Seal the bag opening except for 1/2 inch, insert several inches of tubing, press canister button, pinch the bag around the tube, extract air. As the mylar bag approaches full collapse, slowly extract the tubing leaving 3/4 inch in the bag, use heat sealer to seal the bag at a 45 degree angle below the tube, remove tube, shut off FS. Done. I should point out that having a real – industrial type – vacuum pump in addition to the FS is useful. It won’t do plastic bags like the FS will, but on everything else it’ll be faster and pull to a greater vacuum, and there’s probably a way to disassemble the FS and plug the industrial pump in somewhere when the vac pump in the FS finally fails. I keep a pair of pants,shirt and spare socks in my GetHomeBag. Vac sealing them keeps them dry and compact.Saves considerable space.